Abstract: Lithium batteries are batteries that have lithium as an anode which are widely used in products such as portable consumer electronic devices. All the models of Airwheel intelligent power scooters select the quality lithium batteries. Airwheel electric scooters are equipped with branded lithium battery, featuring many recharge times, and enjoying longer life expectancy than ordinary lithium batteries. A great number of riders take granted that only when the battery runs out of electricity, can they charge the battery. Actually, it is better to charge it when riders have used for some time. The following describes several notes about the battery, which is helpful to expand the service life of the lithium battery. Though Airwheel chooses quality batteries for electric skateboards, which is not explosive and combustible, overcharging will dramatically decrease the battery life. Hence, it is best not to leave it charging for the whole night. Battery short circuit and high current discharge that is harmful to the battery life. In addition, some scooter fans might own more than one Airwheel intelligent power scooters. Different products are equipped with different charger. Do not misuse the different chargers, which might cause serious consequences. It is also suggested to avoid charging the battery on high temperature condition. There are rapid-discharge problems. Lithium batteries can provide extremely high currents and can discharge very rapidly when short-circuited. Although this is useful in applications where high currents are required, a too-rapid discharge of a lithium battery can result in overheating of the battery, rupture, and even explosion. 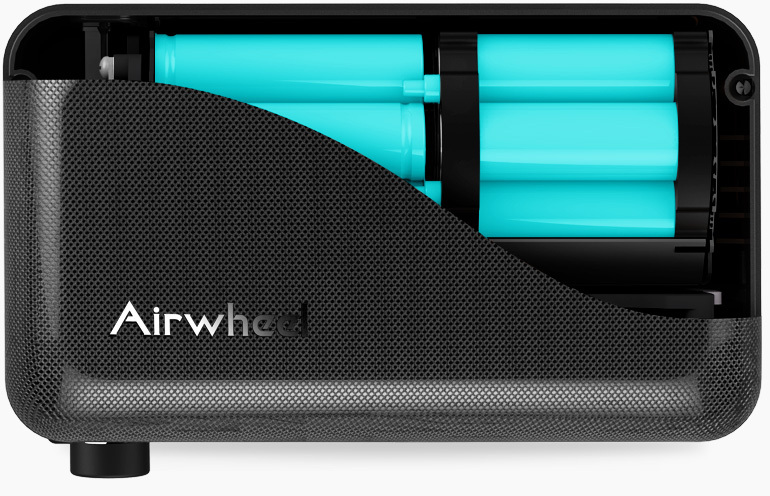 Airwheel's battery incorporates overcurrent and thermal protection or vents to prevent explosion. When the device gives reminder to charge the battery, the battery should be charged. If riders are waiting the device automatically shut down before charging, the battery has been over discharged. This will affect battery life. Additionally, to deal with the waste battery, please Do not throw it away casually, or else it will pollute the environment. The waste lithium battery is to be recycled by the enterprise or dealer, and the government designated outlets. If the Airwheel marsrover is prepared to store, the lithium battery needs to charged. Ventilated and dry conditions are preferred. Moreover, every two to three months, the battery should be recharged. Maintaining the Airwheel in good shape is able to length its service life.